Mix the Lobster Base, butter, fresh chili paste, parsley, and garlic in a small bowl. Divide the butter in half. Spread 2 tablespoons of the butter over the meat of each lobster tail. 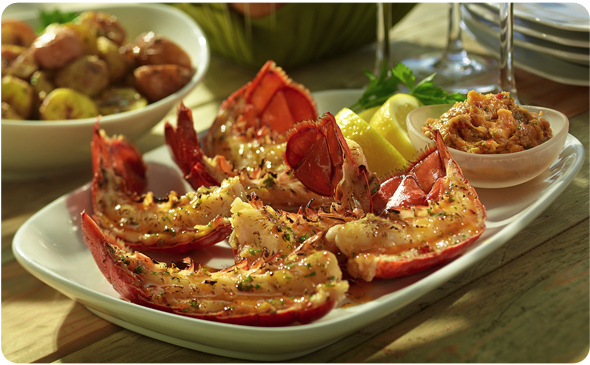 Place the lobsters directly onto the grill, meat side up, and grill for 5 - 6 minutes. Melt the remaining reserved butter. Remove lobsters from grill and serve immediately with the remaining butter.